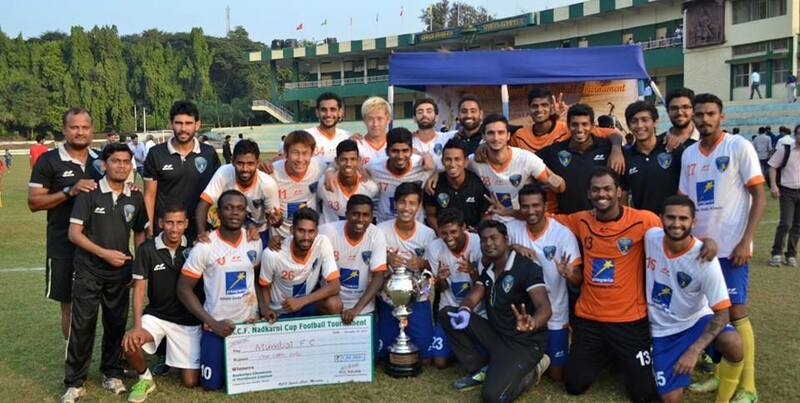 Primo trofeo stagionale per il Mumbai FC di Son Min-Chol che conquista la Nadkarni Cup. La finalissima contro l’Air India si è conclusa sul 2-0 e il difensore coreano è entrato in campo al 73′ minuto. Posted in Senza categoria and tagged Son Min-Chol on novembre 30, 2015 by calciocorea. Posted in Senza categoria on novembre 29, 2015 by calciocorea. Esordio per Son Min-Chol con la maglia del Mumbai FC nella gara valida per la Nadkarni Cup contro il Mumbai Customs, finita 3-2. 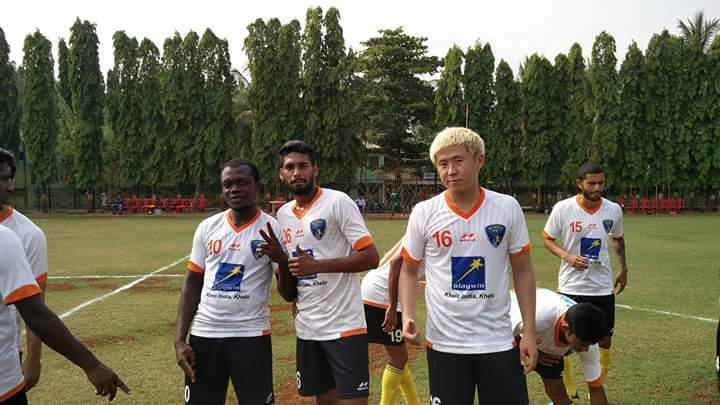 Il Mumbai FC si è qualificato per la finale del torneo, contro l’Air India. Il Nadkarni Cup è un torneo di inizio stagione dedicato alle squadre di Mumbai. Posted in Senza categoria and tagged Son Min-Chol on novembre 29, 2015 by calciocorea. New Delhi: The Asian Football Confederation has announced the full list of nominees for this year’s Annual Awards in New Delhi, India. Posted in Senza categoria on novembre 25, 2015 by calciocorea. It is a little over two years since the Pyongyang International Football School opened in Korea. Here we can have a bright view of the future football players. The school has primary classes, junior middle classes and senior middle classes. Pupils and students are selected from around the country and are provided good educational and living conditions. The pupils participated in the 3rd International Codian Cup held in Haimen City, Jiangsu Province, China, in March 2014, a year after it opened. T he Democratic People’s Republic of Korea, China, Thailand, Japan and south Korea participated and they played league matches. The victory and defeat were concluded by the total number of scores. 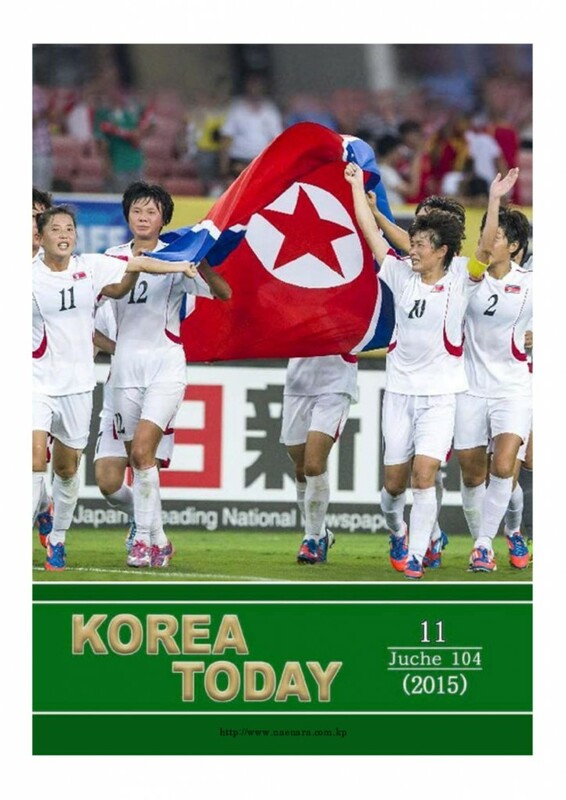 The DPRK team had no experience in international games, so those matches were really hard for them. Coaches Kang Myong Chol and Ri Yu Il firmly trusted players, and they mapped out an innovative tactical plan and applied it to the match. The players did their best with well-organized defence, attack and counter-attack. Finally they won first place by increasing the score through thrusts into the goal area by fast break, and man-to-man passing. They won first place again in the 4th International Codian Cup held in April 2015. In the two contests they were given two best coach awards, two best player awards, two greatest scorer awards and a best goal keeper award. An Phyong Il received the greatest scorer award for his 20 goals, and was seen as a promising player by the organizers and spectators of the tournament. Posted in Senza categoria on novembre 24, 2015 by calciocorea. Continua l’avventura indiana di Son Min-Chol: il difensore dopo tre stagioni al Shillong Lajong, 61 presenze e due annate da capitano, firma per il Mumbai FC squadra giunta settima nell’ultima I-League. Saranno ancora due quindi i protagonisti Zainichi nella I-League, oltre a Son c’è Kim Seng-Yong al Bengaluru. Posted in Senza categoria and tagged Son Min-Chol on novembre 20, 2015 by calciocorea. An international friendly tournament between the deaf-and-dumb players of the DPRK and Australia was held in Sydney in December last year. The audiences were amazed to see the Korean players full of youthful vigour. The Korean soccer team that made its international debut in Australia has now become the focus of worldwide attention. A coach of the Brazilian deaf soccer team visited the DPRK to see their training. So did the APTN mission of Britain. The DPRK provides the disabled with all conditions necessary for promoting their health and conducting sports and artistic activities according to their aptitudes and wishes. The training field of the above soccer team is in Pyongyang. Its coach has received technical and professional education, and the players are aged about 20. They were recruited as they had been fond of playing soccer in their childhood. They conduct intensive training, often watching video recordings of recent games to learn advanced skills. The team is developing on the strength of helping one another. Although they use body language to communicate their intentions and feelings, they have a strong team spirit and a high sense of organization. Their superb tactics and skills, indefatigable fortitude and perseverance leave a lasting impression upon the spectators. The key players, Kang Myong Won (10), Kim Ung Chol (4) and Pak Hyon Chol (5), are masterful in dribbling and flank breakthrough. The social interest in the deaf players is growing as strong as the team itself. Posted in Senza categoria on novembre 20, 2015 by calciocorea. La vittoria dell’Uzbekistan (3-1 sullo Yemen) da il match point ai centroasiatici per il primo posto nel girone: con due gare ancora da giocare in casa contro Filippine e Barhain e un solo punto da recuperare, il primo posto è a portata di mano. Poco male, perchè conquistando tre punti contro le Filippine, qualsiasi siano i risultati dell’Uzbekistan, la RPDC dovrebbe garantire sia il passaggio del turno sia la qualificazione alla prossima Coppa d’Asia. Posted in Senza categoria and tagged nazionale maggiore, qualificazioni mondiali on novembre 17, 2015 by calciocorea. Posted in Senza categoria on novembre 17, 2015 by calciocorea.